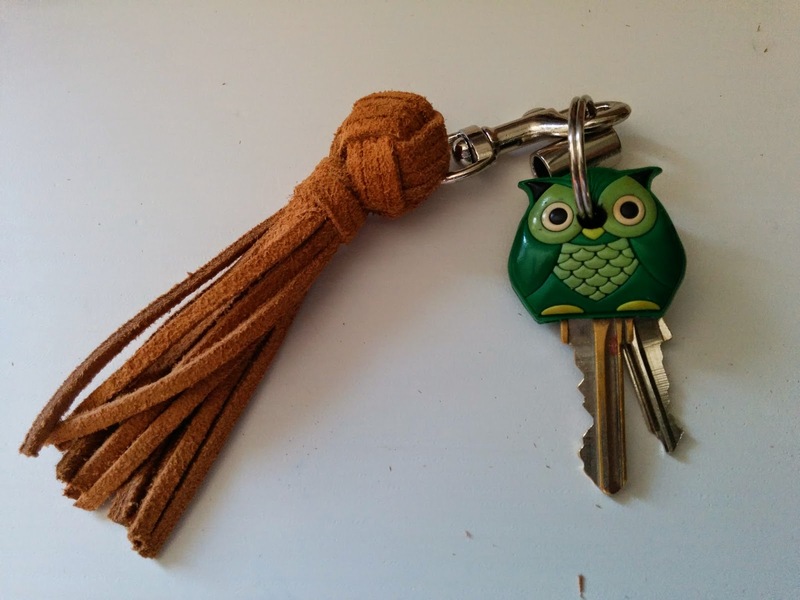 I love tassels in general and especially leather tassels. They look so stylish clipped onto a purse clasp or zipper pull, attached to a ribbon as a bookmark, fringing a throw, or alone as a keychain. I also love monkey's fist knots, so why not combine the two? 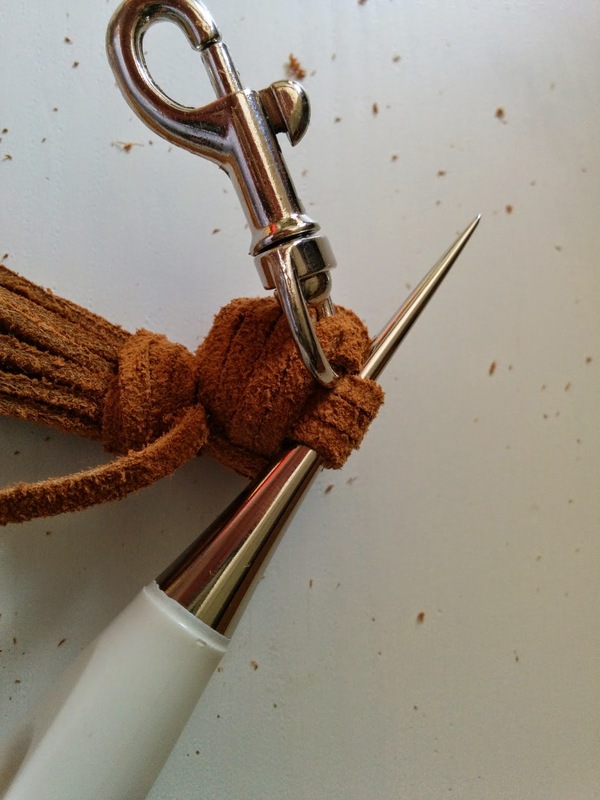 You can find many tutorials online for monkey's fist knots in picture or video format, so I'm going to skip ahead a bit. 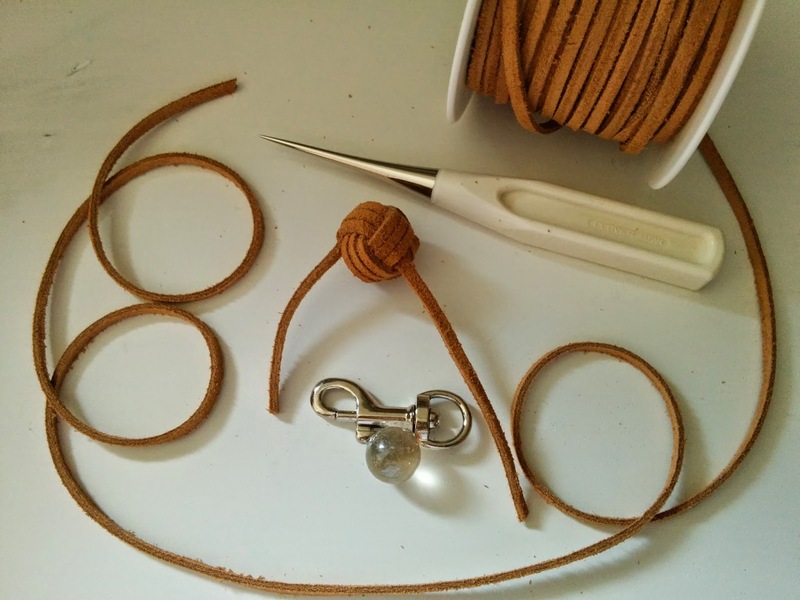 I like to make knots about 3/4-1" in diameter with a glass marble inside. 1. 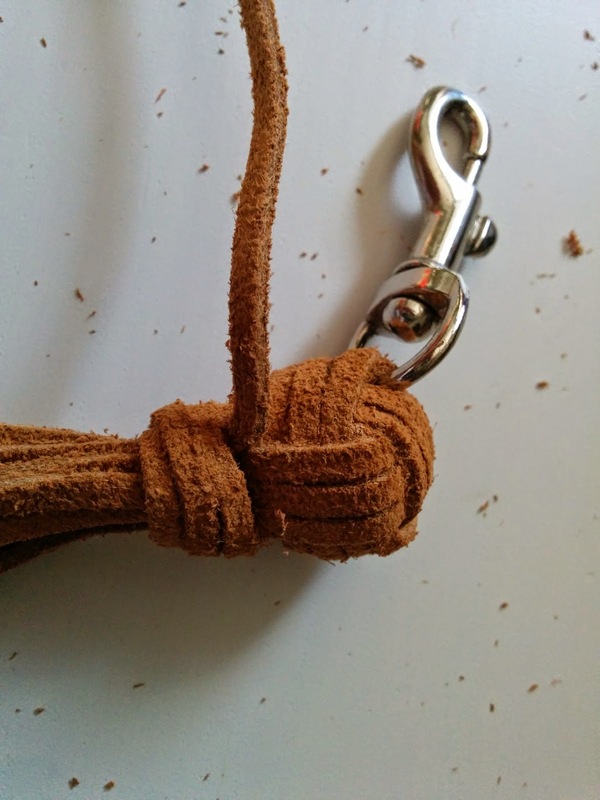 Make a knot like the one shown above. I like to use three wraps per section, then tuck in the ends for a total of four wraps per side. This takes about 24" of lacing. I use my awl to loosen the wraps and push the ends through. Add your hardware at this time. 2. 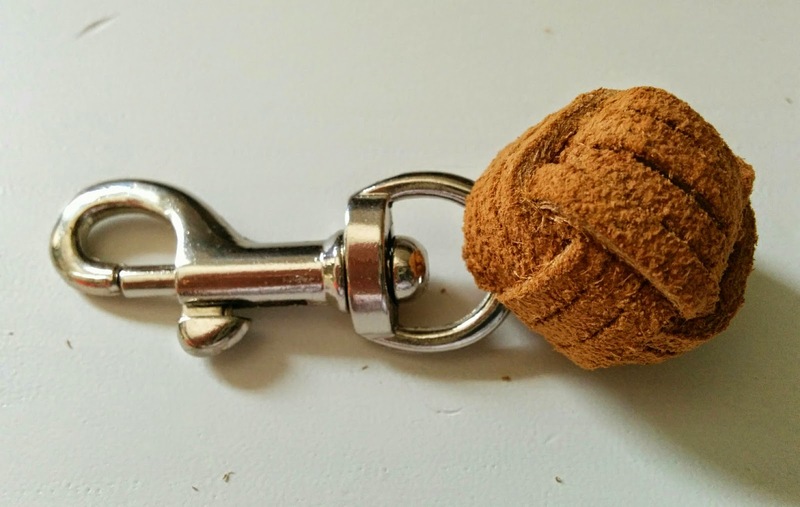 You can stop there if you like and have a monkey's fist knot keychain. Want a tassel? Proceed to step 3. 3. Cut six equal lengths of lacing. I cut mine 6" but you can go longer if you like. 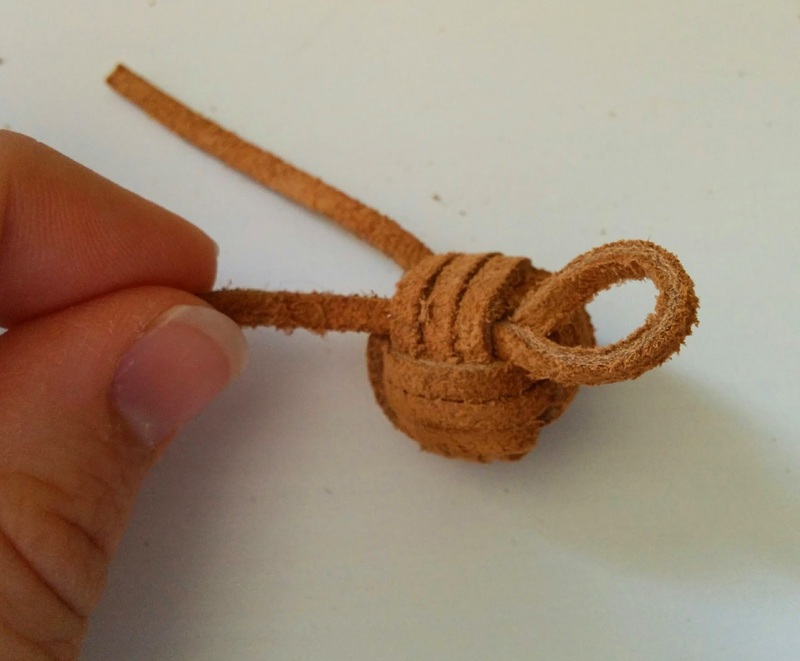 Loosen one loop on the bottom of the knot and slide the pieces halfway through. 4. Cut a 12" length of lacing. This will be used to wrap and finish the tassel. Slide it through with the rest of the pieces so one end is lined up with the others and the other end is long. 5. Starting close to the knot, use the long end to tightly wrap tree times around the tassel pieces. Push the end up through the middle. 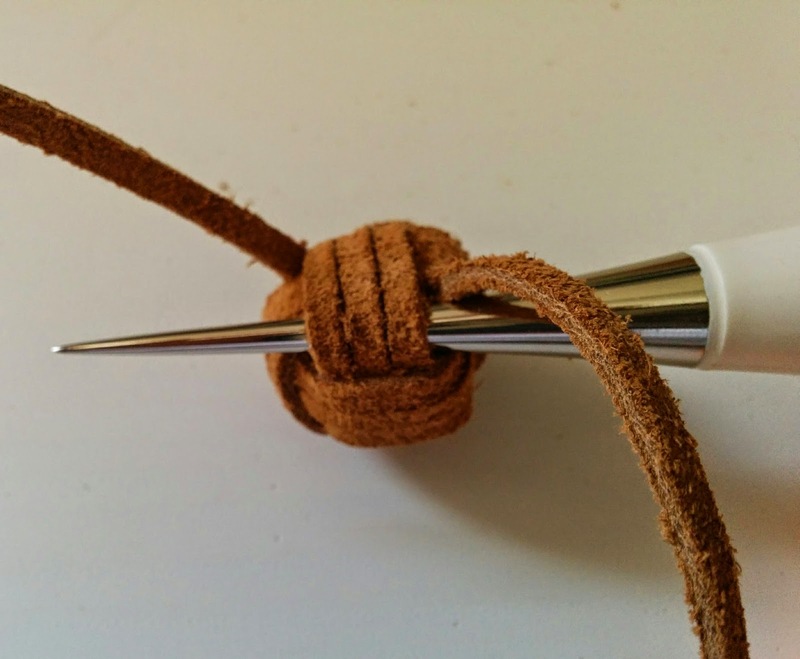 Then use your awl to loosen some of the wraps on the knit and push the long end through them until it comes around to the other side. Tighten again and trim the end. 6. 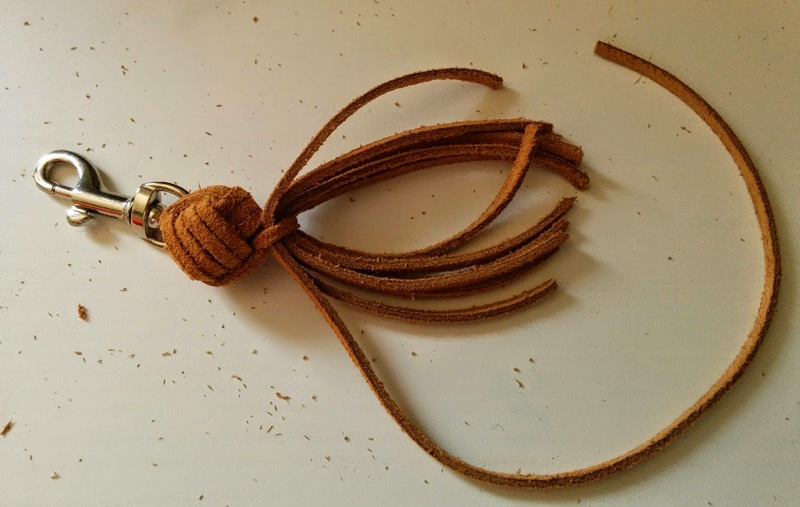 Add to your keychain, purse, or anything that would benefit from a cute tassel. If you have any questions about this tutorial, feel free to comment below or email me. Sometimes it makes perfect sense in my head, but loses something in translation when I'm typing. Not feeling crafty? I have a few of these available for under $10 including shipping in my Etsy shop at www.etsy.com/shop/SusieQute42.